A peaceful sanctuary or an exploitative tourist trap? This is the conundrum at the centre of the debate about Sri Lanka’s Pinnawala Elephant Orphanage. 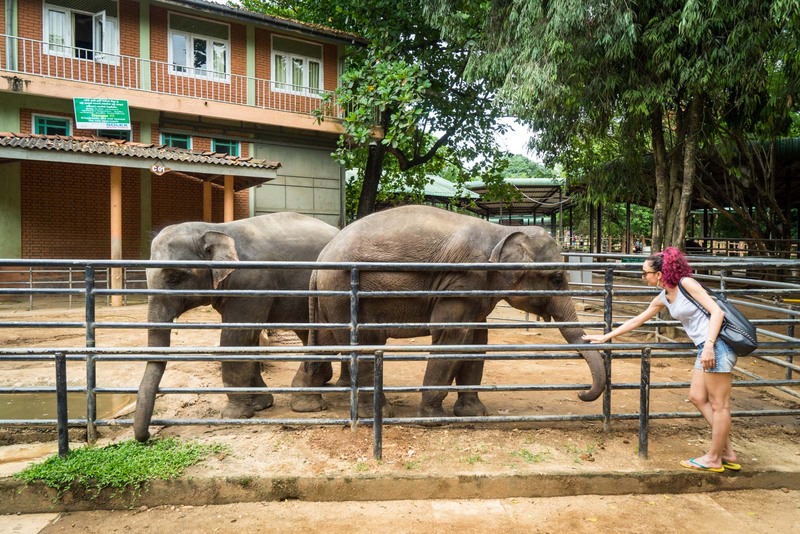 Tourists who do some research often end up wondering whether they should visit the Pinnawala Elephant Orphanage. Ethical travellers want to support animal welfare projects and see examples of positive change. But can conservation and chains go hand-in-hand? Because this is what you seem to get here. 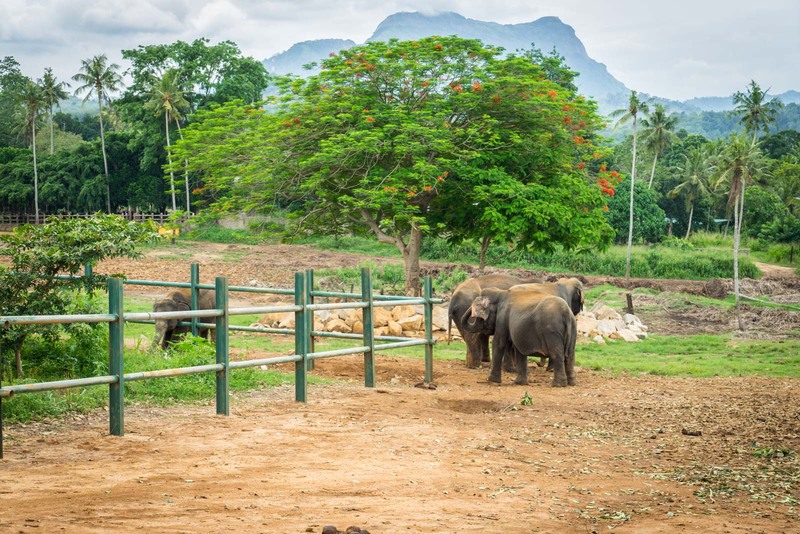 In this post, I am going to attempt to answer these questions – to give you some guidance on whether you should visit Pinnawala Elephant Orphanage. And I’m going to do this in a way that almost every other blogger or animal welfare activist has NOT done it… by going to the source and asking the orphanage directly about the concerns. Let me first give you some brief background information. I was in Sri Lanka a couple of weeks ago doing a trip around the country that was part of a conference I was attending. 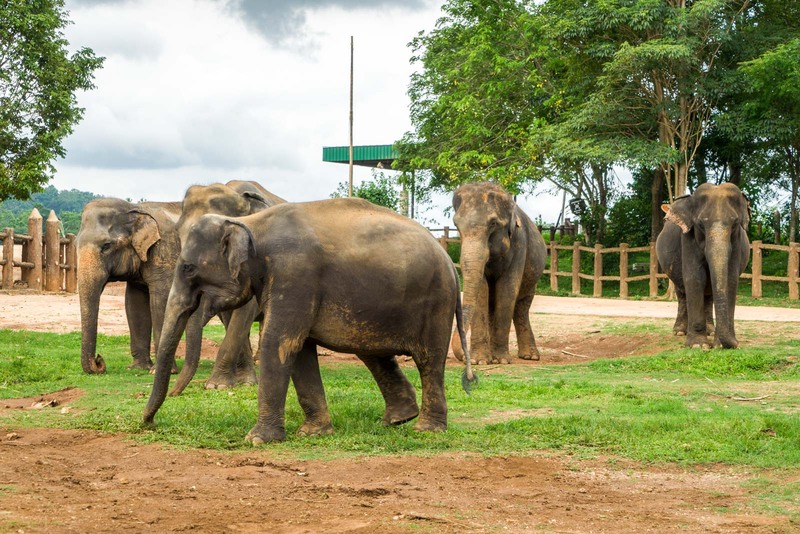 Sri Lanka’s tourism board had included the Pinnawala Elephant Orphanage in the itinerary. When I saw this, I was hesitant – I had previously read criticisms of the orphanage and wasn’t sure I wanted to go. But then I began to look at it from a different perspective. Even when a country’s tourism board is covering my travel costs (as was the case this time) and even when I have a commercial arrangement with a destination (I didn’t this time), I write the truth and try to give you – the reader – the most accurate depiction I can. So I started to see a visit to Pinnawala as an opportunity to shine a light on the Elephant Orphanage. I expected, based on reports I had read, to find a lot of bad things to write about. As it turned out, that wasn’t the case. What I found was a conservation project that – although not perfect – is doing a lot of good. I found that a lot of the elements that worry visitors actually have reasonable explanations… and that often the concerns are based on misunderstandings. And I discovered that many of the problems come from the expectations that visitors have, compared to the reality. What I am particularly pleased about is getting the chance to question the people who run the orphanage and hear their side of the story. It is true that it can be a bit of a shock to arrive at somewhere called an ‘orphanage’ and see animals in chains and crowds of tourists. So there’s an issue here about expectation-management. When a tourist doesn’t have enough information in advance, they can be shocked by conditions that are unexpected. 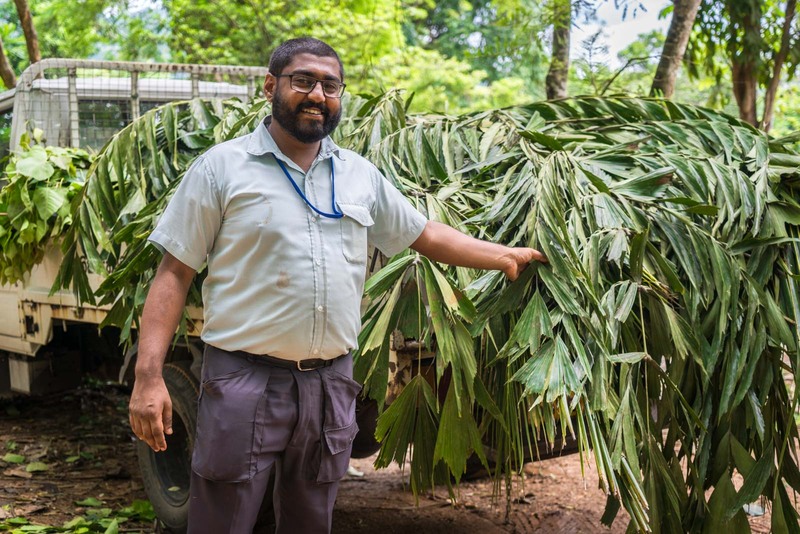 During my visit, I was able to have a long chat with the assistant curator of the Pinnawala Elephant Orphanage, a man called Sameera Rathanayake. He is a biologist who has been working at the site for more than three years. He tells me that, when he was a child, his heroes were not actors or sporting stars – they were people like David Attenborough or Steve Irwin. 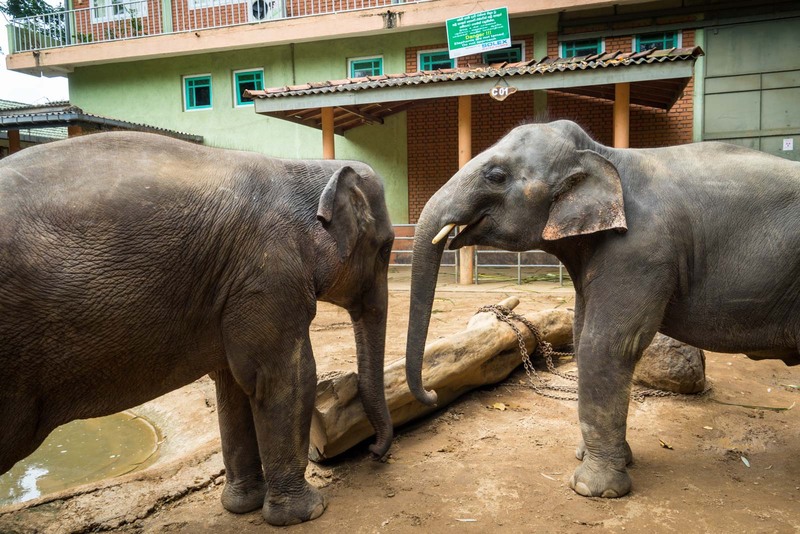 When the orphanage opened in 1975, there were 5 elephants Now there are 88 of them. Most of them have been rescued because they were injured or abandoned by their mothers. Some were born in captivity. However, none of them will ever be released into the wild. I asked Sameera about that. In one section of the orphanage, I saw a group of four baby elephants being kept in small pens with hardly any space to roam around. There was no explanation about why there were separated from the rest of the herd, so I asked Sameera about them too. “Those are orphans, they lost their mothers, so we have to take care of them. They have no mothers so they don’t get any milk. So we have to be mummas for them. After they have grown, we will mix them with the herd and they will get some new friends and brothers and sisters and they will form a new family there. Until that, they will have human mothers. But most of the herd is able to wander around freely in a relatively large space at one end of the site, away from the tourists. At one stage, I pointed over to that area and asked Sameera about it… and why there were a few elephants being kept away from it. The males are not just kept separately. They are also sometimes chained, particularly during the period known as ‘musth’ when they become sexually aggressive. Some of the females are also chained at times because they can also be aggressive when there are challenges for the leadership of the herd. This is one of the most controversial parts of the treatment of the elephants here and I made sure to quiz Sameera about it, who clearly knows that it’s an issue tourists have. “There are some reasons. If we use cables or ropes, it cuts into the flesh and it’s not a better way to handle elephants. But the chain has loops and it ventilates the skins and the heat conductivity is more than the other synthetic items so the chain is the best way and it’s very strong. The chains are most confronting for visitors during the bathing sessions, which happen a few times each day. This is where tourists normally get the closest to the animals – and it’s also the location where most photos on social media are taken from. The elephants are walked down from the large area where they roam, past shops and restaurants, to the river where tourists gather around and take photos. Although it’s not officially allowed, the mahouts (elephant keepers) will often ask for tips from tourists to let them touch or pose with the animals. It does feel a little like a sideshow and this is definitely one of the areas that makes me particularly uncomfortable. I put the question about balancing tourism with conservation to Sameera. “The main purpose is conservation but we have to maintain the elephants. We have 88 stomachs to feed, 88 big mouths to feed, so we get about 17 tonnes of food per day for them. So the tourists are coming here, they have to get a ticket, and the money goes to a fund and from that fund we take care of all the medication, all the food, workers’ salaries – all are maintained by the tourist attraction. There are some issues at the Pinnawala Elephant Orphanage but I feel like many of the problems have been overblown by other commentators. It is not fair to claim, like others have, that the elephants are being exploited to make money from tourism. I genuinely believe that the welfare of the elephants is the number one priority. But at the heart of the legitimate concerns that do exist is the relationship between tourism and conservation. In order to fund the conservation, tourism is necessary. But in order to provide tourism, there are some changes to the way the conservation is practised. However, this is the case with projects all across the world and is not a new issue. The other issue is that tourists expect some kind of idealistic elephant nirvana. They have been fooled by promotional and social media images, and allow their imaginations to create a paradise in their heads. When they see what is required to logistically run an orphanage – chains, pens, fences – their dream is shattered. As I have mentioned a few times above, not everything is perfect at Pinnawala. There are some things that I think could be changed to make the conservation project better. But my feeling, from what I was able to learn, is that it is a fundamentally positive site. I would encourage you to make up your own mind – but please consider the point of view that I have presented here from the people who run the orphanage, because it is often not reported. 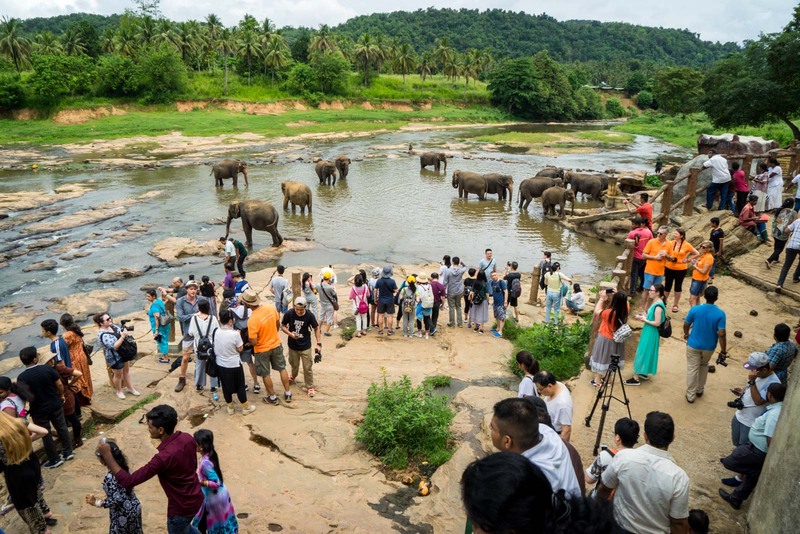 Overall, the biggest immediate change at Pinnawala needs to be an improvement of the education of tourists – both beforehand and during the visit. I think there needs to be more information available and more explanations for visitors on why things are the way they are. My conversation with Sameera put things in a new light for me and it would be nice if all visitors had that opportunity. Where is Pinnawala Elephant Orphanage? 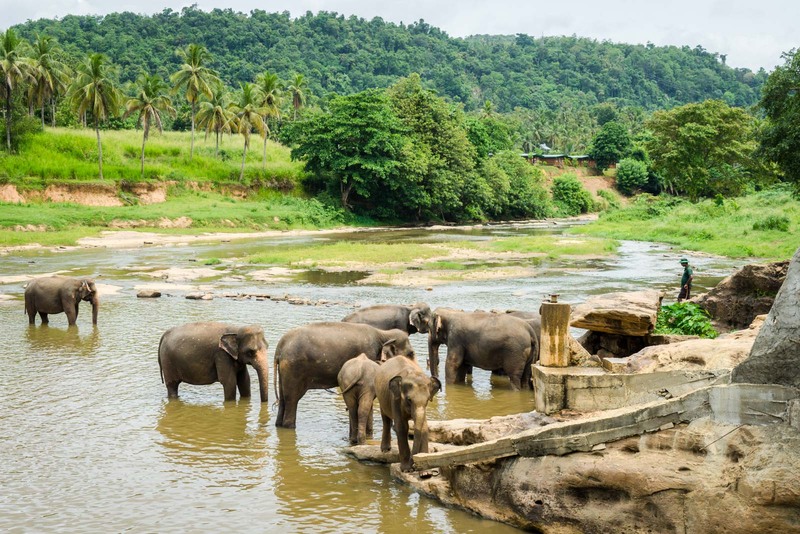 Pinnawala Elephant Orphanage is about 100 kilometres northeast of Colombo and it can take two and half or three hours to drive there. The official address is B199, Rambukkana 71100, Sri Lanka. You can see it on a map here. 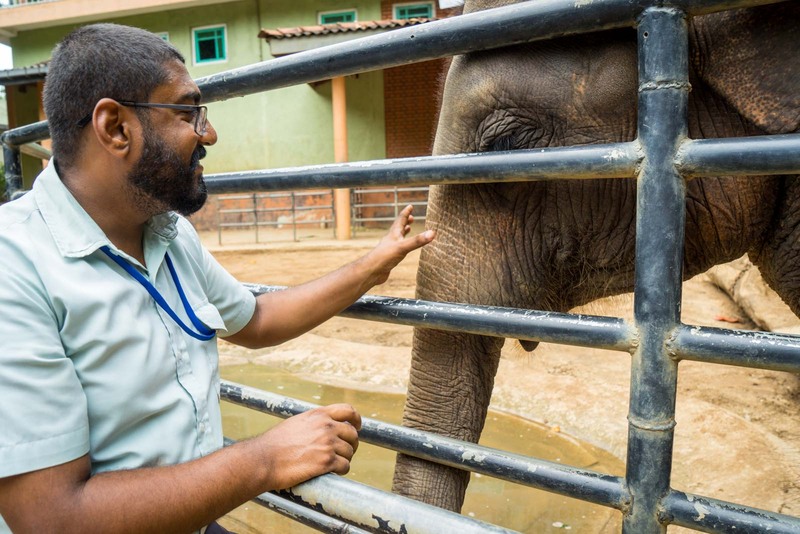 How do you get to Pinnawala Elephant Orphanage? Like much of Sri Lanka, it can be a bit tricky to get to Pinnawala independently. The best way is to get a train from Kandy or Colombo to the nearest station, Rambukkana, from where you can easily get a tuk tuk for a couple of dollars. You can check out the train timetable here. When is Pinnawala Elephant Orphanage open? The orphanage is open every day from 0830 (8:30am) until 1730 (5:30pm). 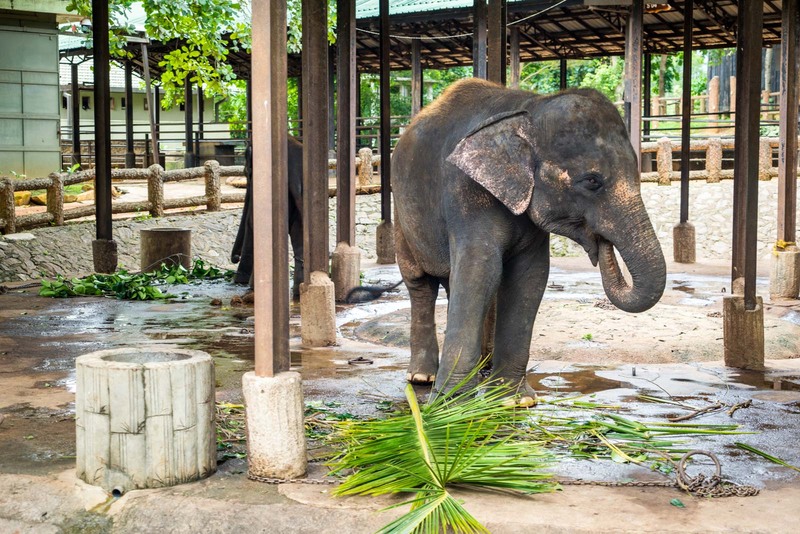 How much does it cost to visit Pinnawala Elephant Orphanage? 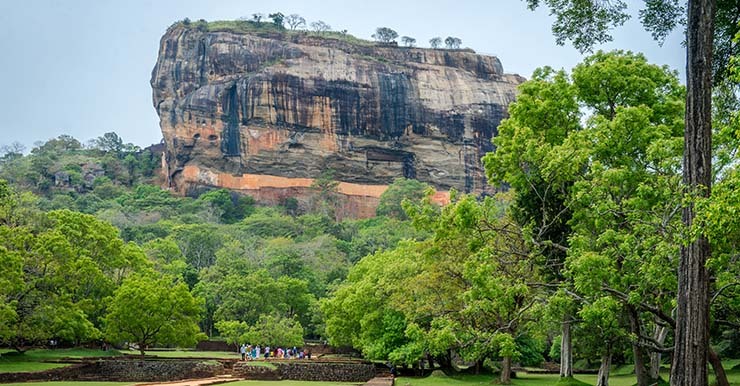 For foreign visitors, entrance costs LKR2500 (US$16) for adults and LKR1250 (US$8) for children (aged 3- 12). There is a much cheaper ticket for Sri Lankan locals. Where should you stay near Pinnawala? If you’re looking for a budget option, I would suggest the Green Land Guest House which the elephants walk right past. For something affordable but comfortable, Hotel Elephant Park is great with views of the river. For good value luxury, you should try MaOya Retreat Pinnawala with a nice pool. And if you want to splurge a bit, have a look at Villa Pinnawala. Wow! Amazing picture gallery dedicate to the most honest, calm, powerful and beautiful creator of the god. Enjoyed reading post. Great article! Did you also try the UDAWALAWE jeep safari? Looking for places to go and see elephants, but of course trying to be as humanely conscious as possible. Thanks for posting. Friends of mine recently suggested a trip with our kids to Pinnawela and I went with some reservations. While I still prefer to see elephants in the wild in Sri Lanka, I appreciated the balanced view you offered. We spotted Turtle Farm and Hatchery on our way back to Colombo. It was set up in 1986. We also stopped at the Pinnawala elephant orphanage. Thanks for the comment. I hope you had a great trip to Sri Lanka! informative. this is my country. true story. Thanks for spreading out the word. I have been to this orphanage once a year for three years and it is very much improved from the bare bulldozed paddock to well set out areas. Most of these elephants would be dead out in the wild. Little ones that have fallen into village wells, some destroying crops for food the farmers seeing them as a large pest. The orphanage keeps these beautiful elephants alive. If you have ever tried to hold a spooked horse you would understand the chains for the elephants, you would never be able to keep people or other elephants safe with a rope around sits neck. I have also seen males elephants in the wild on musth and they have nothing on their mind but a female and you need to be very careful and not go near them. The elephants also need to bath and if you have a river a few hundred metres away why would you not use it, but safety comes first, for the elephants and then the tourists. I have seen some unthinking tourists who are quite miffed about being asked to move to a safer place and still stand where the herd will exit the water, just so the unthinking people can get a good photo and then try to sneak back in between the elephants. Can you imagine the tragic results this could cause? Over the years I feel the money has been well spent and the only trophy you need to take home is a great photo. Well, I appreciate your account and that you are trying to represent both sides, but do you perhaps think the owners, when given half a chance, will always say ‘everything is fine’? Of course they will. They are never going to admit to cruelty openly. And if you believe everything you’re told, you really should go back to the drawing board and think a little deeper! David Sheldrick Wildlife Trust in Africa also rescue orphaned elephants and are able to rear them in a way to successfully return them to the wild. stumbled across this whilst looking for info on the Pinnawala Elephant orphanage. Having read reviews, and becoming concerned about the welfare of the elephants, I felt this was informative and balanced, leaving me to make up my own mind. I will be going, although like the writer I dont agree with everything, they do have to make money to feed and care for the elephants, swings and roundabouts. Thankyou for an honest review. I am still concerned about this project and Sameera’s answers do not fully justify the treatment of this herd. 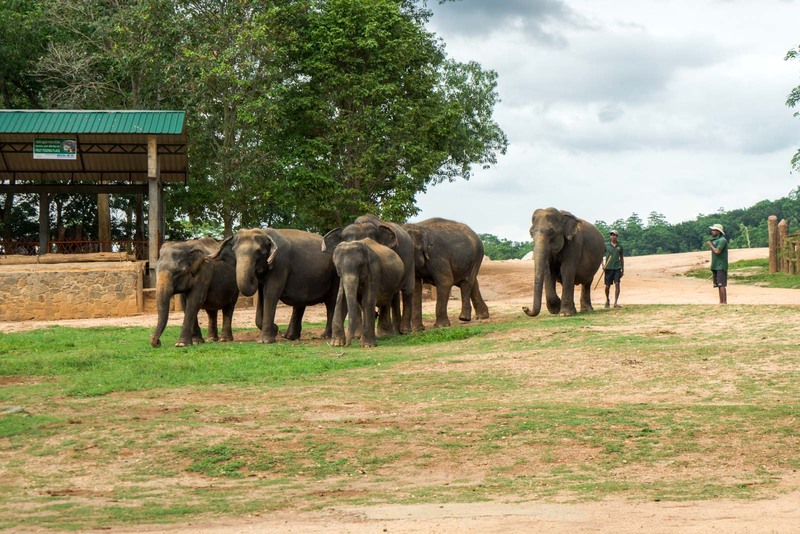 It comes across as a commercial project where the needs of tourists are put above the needs of the elephants. I have been to the Elephant Transition Project next to Udawalawe National Park and the needs of both is better balanced. Tourists view from a greater distance, pay a small fee, do not interact but observe. Elephants are not chained, roam freely in a limited area, mothers and babies are together, orphans are not caged but have their own area with human interaction, all come in for feeding in age order at which point the tourists can watch more closely. Pinnawala needs a rethink. Thank you for your insight into the elephant sanctuary and the questions you asked and the reasons, very informative. I hope to add my own once I have visited. Thanks, Diane. I would be really curious to hear what you think once you’ve been and seen it for yourself. Have visited Pinnawala and love your balanced view of things. The sea turtle conservation projects along the western coast of Sri Lanka are much the same. Great article! Thanks very much for your comment. I’m glad you appreciate that I tried to give some balance to the conversation. And I actually also have a story about those sea turtle projects that makes some of the same points! The sea turtle conservations in that area is as fake as it can be also, the business model is already in the 80s. Made believe and exploitation. With little explanations, little evidence of the thing they did, little space for the turtles, all they care is donations aka money. Guess what, I went to a real turtle conservation in Sukamade, Meru Betri National Park, Java Island, Indonesia. 6 hours ride from the nearest city Banyuwangi. Where the rangers live there in harsh conditions, work every morning and night on the sacred beach where turtles come to lay eggs for hundreds of years, 50 years everynight there are around 500 turtles coming to lay eggs, but now every night less than 5 due to human activities in nearby area. They give up their city life to work here to really save he turtles and the ocean. And guess what they told me? All those so-called Turtle Sanctuaries are fake, in Bali, in Gili Island, I guess in Bentota is the same. Where do they even get the eggs? The turtle never lay eggs when there is human activities or lights nearby, I guess that area is already totally lit. And they all keep the baby turtles in the tanks much longer than they should be kept, for what, for when tourists comes, they will have an photo-op or pay to release these turtles. Baby turtles should be released within days after hatchery, otherwise it will lose its nature towards the ocean and even afraid of the ocean. Hope this information find you well. Those words are exactly the same things as Trump told his supporters, as The Seaworld told the media, made believe. And you think he will risking losing his job by tell you the things that they don’t want people to hear? Yes, we have to admit. They are better than a lot of elephant camps in Sri Lanka and in all Asia. And they were doing a great job before and now they are just a zoo, so why not just change the name to “Elephant Zoological Park” instead the misleading “Elephant Orphanage”? Actually the Elephant Transit Home next to Udawalawe National Park took over Elephant Orphanage in the 90s to take in orphan elephants, they don’t allow tourists interactions, this is a better research not exploitation. Then the “Orphanage” became a Zoological Park for research and breeding and money making, but it is known that the breeding of domestic elephant is extremely low, that is why the elephant is the only wild elephant being tamed by human but never domesticated. It’s like plantation owners, in order to maintain the slaves, they have to work for me, I have a big family to run, I have to give slaves food, give them shelters. “In the wild, not everyday can see elephant. Here you can see elephant 100%, it’s good for elephant lovers” OMG…he is lying with open eyes. 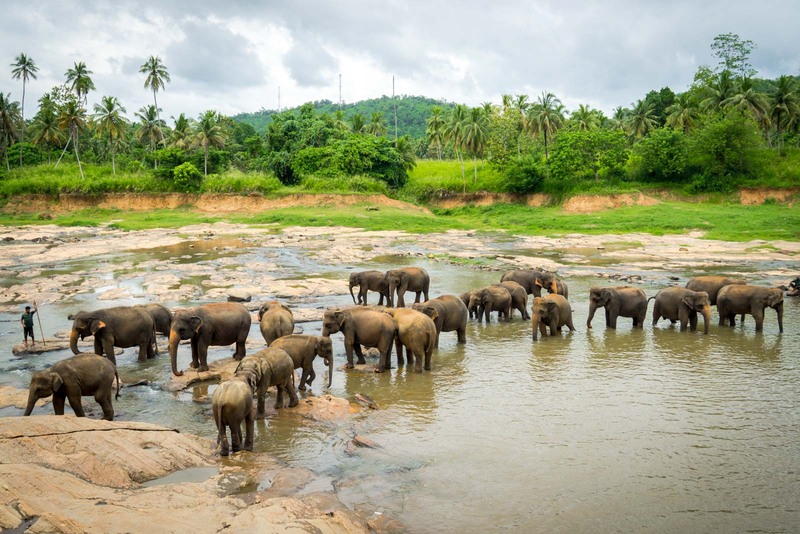 To see a big group of elephant in Sri Lanka, go to Minneriya, Kaudulla, Udawalawe, Yala National Parks, where wild elephants roam free in a mass land as their natural habitat, where you can see elephant everyday, sometimes even more than 100 in one safari. Fantatsic information thank you SO much. I’m researching elephants for a performance project (celebrating 250 years fo circus we are recreating an elephant parade from the 1800’s with life-size puppets in Norwich, England) and came across a very negative review of the orphannage on a travel blog. I was upset by this as I visited Pinnawala in 2005 on my honeymoon & the whole holiday was my holiday of a lifetime; the orphnage was definitely a highlight. I too noted worrying characteristics but also spoke with the keepers who explained certain actions like the chains and worrying behaviour from some of the elephants being due to times of year/ their role within the herd etc. I was very much heartened by your article and throughtly appreciate your willingness to present a balanced truth (unike the sensationalist un-informed info I previously read!) THANK YOU SO MUCH! Thanks for the comment, Suzanne. I appreciate it. I would love to know what you think when you see the elephants in Sri Lanka. It is a tricky issue but it is certainly heartwarming to know that the animals are cared for by some people. You didn’t mention the use of Bull hooks or their use in religious festivals!!! Makes you want to weep! Poor creatures! Good to see you going to the orphanage and asking questions, rather than judging from afar. An interesting post! I wanted to talk to the people who run this place. Sogreat to see you have done this. My question is: how do other Elephant Sanctuaries able to cope without the use of Chains? Wow! Such an amazing article. I have visited Pinnawala and I know the facts, was thinking how to correct the thinking patterns of some people who get a total different picture. I can’t thank you enough. Love your balanced view of things. Thanks for writing the truth to show the world/tourists who need unbiased information. Unfortunately we are living in a commercialized world, we need money to live and feed others. Some people will find something to criticize about no matter what. It’s a great thing to try and help some animals/humans or projects in some way.. I think this is a great article. However if you look at examples in Africa, specifically Kenya, the programmes there I have seen are a true reflection of what taking care of the elephants means. They too rely on public funds, but do not exploit the elephants beyond allowing tourists to see them playing and feeding. The notion that we should agree it is ok to have then in chains is absurd. It will never be ok to have them in chains. It should not be normalosed just because it is a ‘tradition’. Slavery was a tradition and look where that got us. Great article. I visited twice in 2013. I always have similar concerns when visiting “animal sanctuaries” overseas. However, I think the Pinnewala Elephant Orphanage are doing a wonderful job. I also recommend the Millenium Elephant Foundation. The only place I would visit to get very close to the elephants. There are many rogue and freelance providers in Pinnewala, so just look out for those. Thank you for the information. I look forward to a visit. I am from Bolivia, south America, and it is true information ahead of time and during will help other tourist see thi as the are. Thank you very much for this article. I am so glad I stumbled upon your article when I was researching this problem. I am going to Sri Lanka on the 16th of January and I had a huge dilemma should I visit the Pinnawala Elephant Orphanage or not. Now I made-up my mind. Thank you. I was very interested to read your comments as I have seen conflicting reports on the orphanage and was not sure whether to visit or not. It was good read about it from the perspective of people who run the sanctuary. What a wonderful post. Thank you very much for clearing the nasty rumours. You are absolutely spot on about how the public portray Pinnawala as an Elephant nirvana. People who visit here needs to be realistic about the animal itself and the condition they are handled. If there’s no discipline we have thousands a few tons of weight on us going out of control. Its not a small animal to put on a leash. So just before my trip to Pinnawala I’d like to say go with and open heart, enjoy their company and if possible donate or sponsor.Bravo for a wonderful article. Thank you! Thanks for this article. I had read another one which was scathing of the orphanage, and I was ready to write to all the tour operators to suggest they cease visits to the elephant orphanage. However, you have pointed out the the reasons for the chains etc. The other article I’m talking about goes into detail about some elephants obviously being in distress, shaking their heads etc, and this still has me worried. I hope to go to Sri Lanka this year, so will see for myself. Thanks for the comment. Yes, people do raise concerns and I am not trying to dismiss them – just wanted to present the other side for balance. I would be very curious to hear what you think after you’ve been. I find the whole experience of visiting this place, absolutely awful! 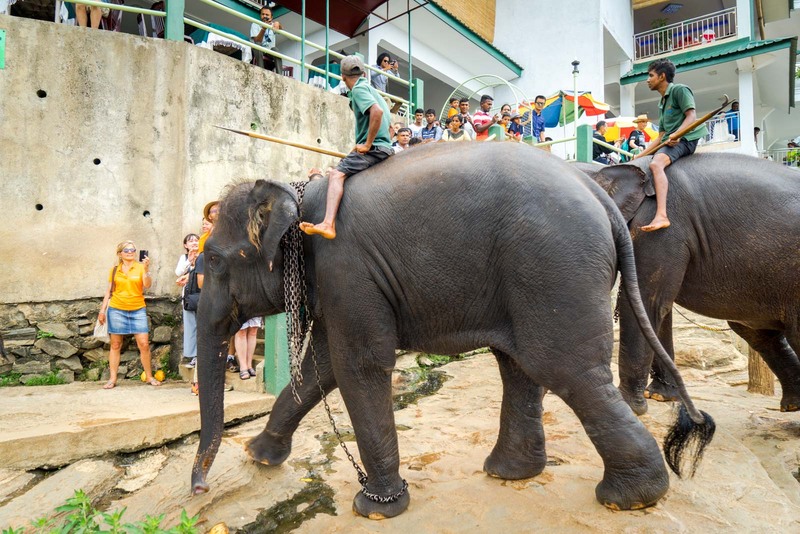 it is a tourist trap, the Elephant are really badly treated in my opinion. It is a very, very sad place to visit. Everybody is trying to make money on the back of the poor animals! it should ban! Shame on the owner. I volunteered at pinnawala jan 2018. I fell in love with the elephants there. They have a lot to learn. They have to chain some of them because not all mahouts are kind. One killed an elephant not long before i was there. They use bullhooks quite a lot. So these babies are not loved in the way they shud be.the two babies in the pen are chained up until its tourist feeding time, then they are released and they play like children..all great stuff for the perfect pics…i also volunteer at other places and have yet to see chains and or bullhooks. Ive seen them being mean to the elephants at pinnawala.not so anywhere else. This orphanage is a horrible, horrible place. The male elephants are chained and their guardians poke them for them to lay down in the river. I cried when I saw these beautiful creatures in chain. They will give many excuses explaining why they have chains but it is just wrong. The orphanage is more or less a zoo, maybe worse than a zoo. The fact that is under the ministry of tourism is a shame for this country. If you care about animals, please do not visit the place. Go to the elephant freedom project instead.